When most people think about their kitchen they think about hygiene, cleanliness and a germ free space to prepare meals for family and friends. That’s why it comes as no surprise that a large percentage of people building a new kitchen choose white for their cupboards. White brings the feeling of cleanliness into your kitchen and gives the feeling of space and openness. So when the majority of kitchen cupboards are white, or a variant of white, how do you make your kitchen stand out and brighten your day? 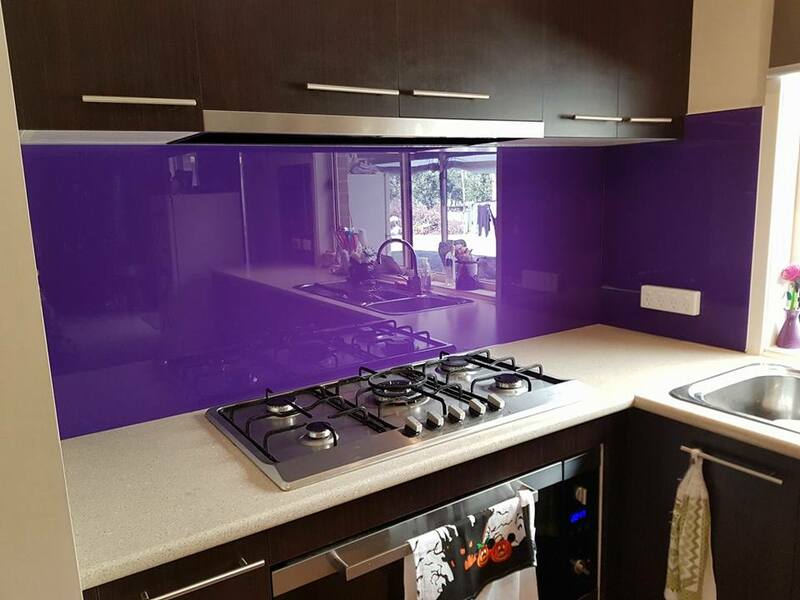 You add a splash of colour by installing a coloured glass splashback. 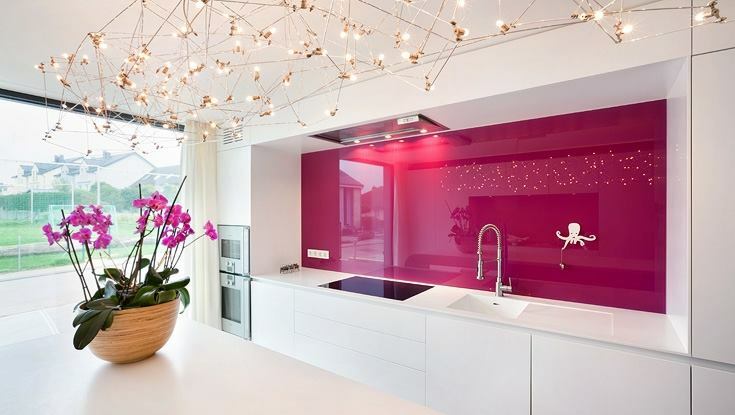 Glass splashbacks can add a depth to your kitchen that can’t be achieved with tiles or paint. It’s a breeze to clean and comes with an industry leading warranty. When it comes to interior design colour trends come and go, the thing that never changes are your choices. When deciding on your glass splashback there are plenty of kitchen splashback colours to consider. There are so many choices, in fact, it’s difficult to choose. Most of all, you need to match your floors. This is your starting point as your floors are usually the first thing you put down and the hardest to change. If you have polished wood, then you may want to bring some of the outdoors in with a choice of earthy reds and yellows. If tiles are your go to for flooring you could match or even contrast your tile colour with your splashback to really bring out your kitchen. Your kitchen benchtop will usually consume a good portion of your kitchen budget and it’s also one feature potential buyers will look at down the track, so pairing your splash back choice with your benchtop is a must. Will you be using wood, marble, granite or laminate? What colour will you choose for those? When looking for that perfect colour for your splashback you need to take into consideration which appliances you’ve chosen. Did you go with the traditional stainless steel, or did you continue your theme with white? Don’t forget about anything that will end up on your bench such as kettles, toasters or coffee makers. In today’s range of coloured glass and even pictured glass, kitchen glass splashbacks can create the exact feeling you want for your new kitchen. Your choice is only limited by your imagination and is no longer limited to solid colours. If you’re looking for a bit of sparkle, we have a range or you. Even if you have a favourite picture you’d love to see on your splashback we can do that as well. Make your kitchen a statement and bring a new depth to your home that you didn’t know was possible.